Our motto for our Summer camps is – Let’s explore and let’s express, We’ll take a guess and we’ll make a mess! Well the kids got to create and innovate a lot of things! They not learnt some new stuff, they also got introduced to newer sides of their own selves. 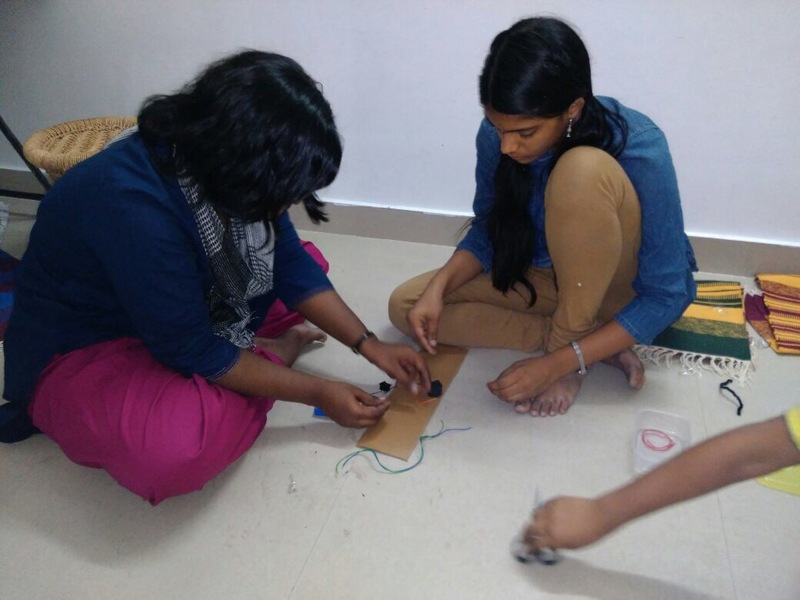 KidEngage brought these unique summer camps that let the kids celebrate their childhood! 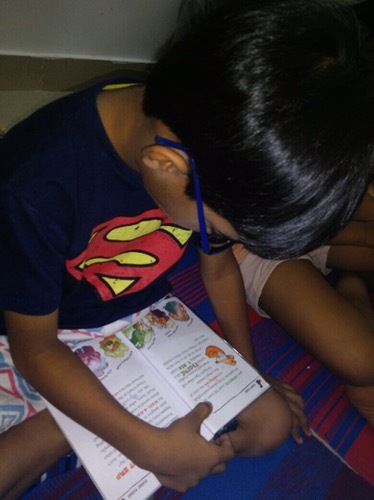 Here a few pictures showing you all the action ‘live’ from our camps. 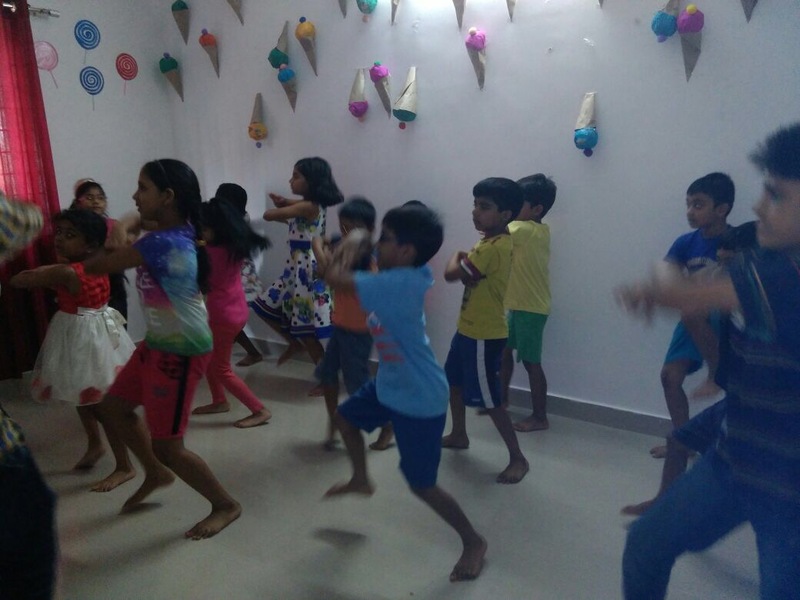 A foot tapping dance session in full progress. 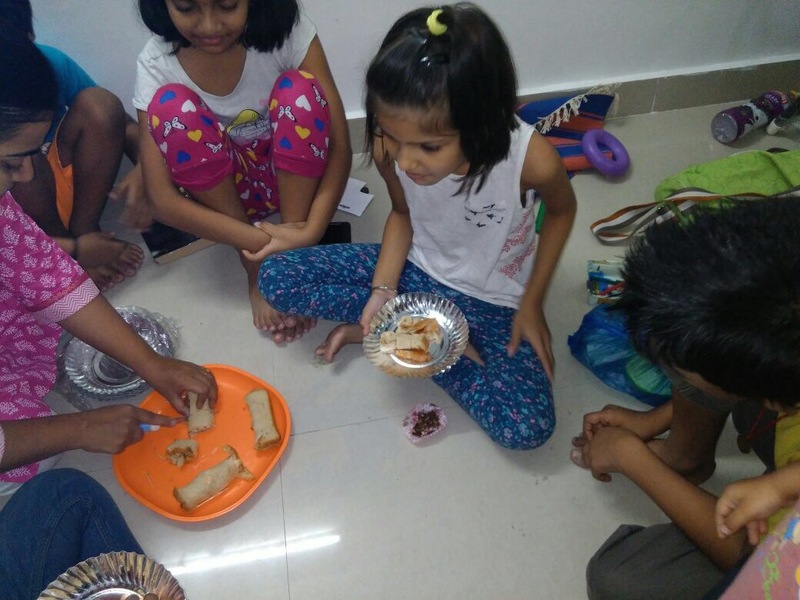 Kids enjoying the pin wheel sandwiches they just made. 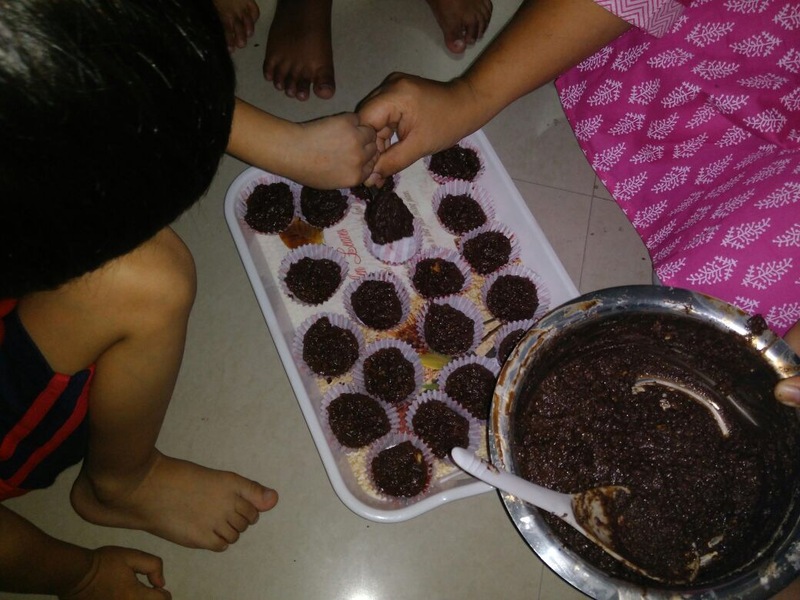 A lip smacking chocolate making session. 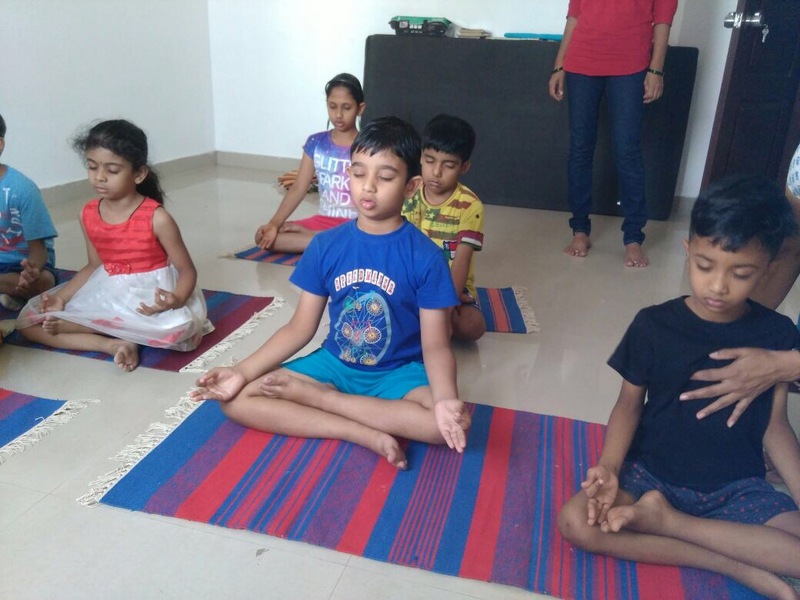 Kids immersed in their yoga session. 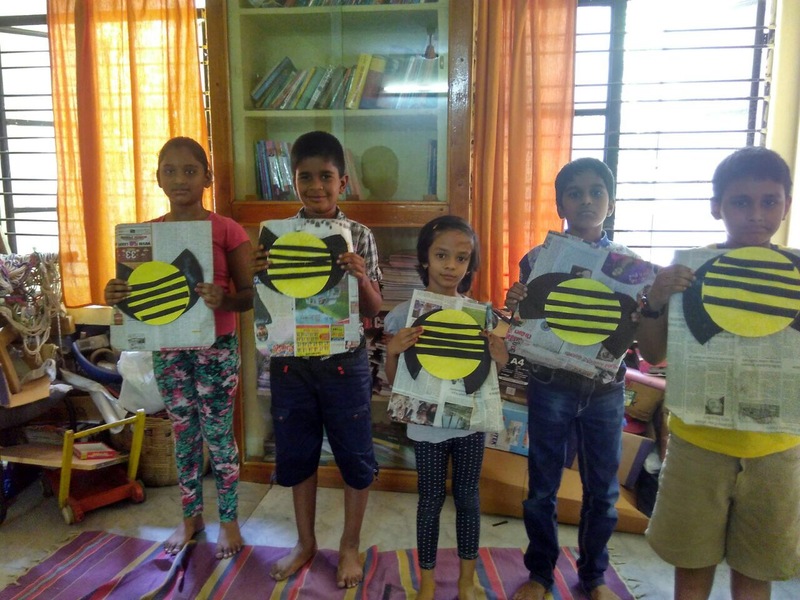 The kids made a honey bee craft after reading interesting stories about the bees. The kids crushing biscuits to make a no-bake cake. 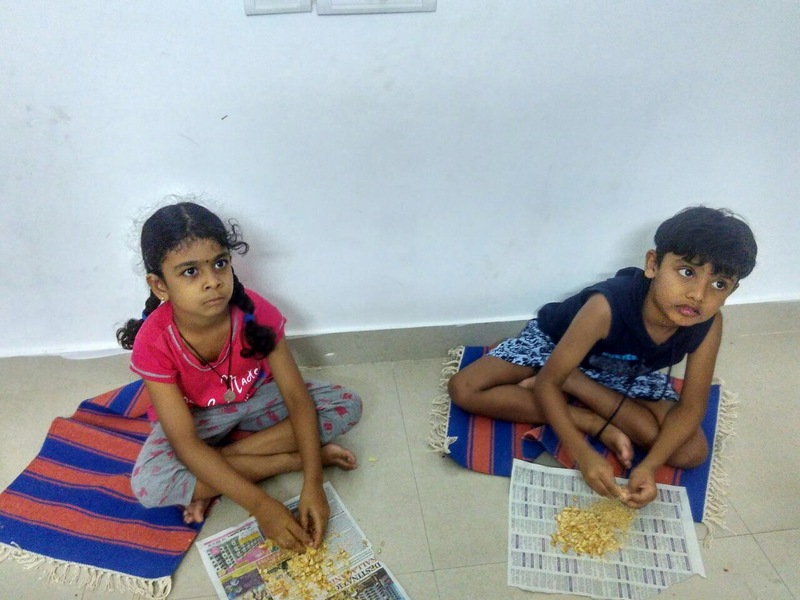 And now we are ready for our second schedule of summer camps in Manikonda, Mehdipatnam, Gachibowli, Kukatpally, Miyapur, Kondapur, Madhapur and Banjara Hills. Bookings are now open with limited slots. Register your spot now! Previous The chocolicious event- Charlie and the Chocolate factory story with a chocolate making session! Next Click! Click! How to encourage your child’s photography skills? are preferrable near by places. Sure, pls stay tuned to this space for more information. We plan to come to these areas very soon.